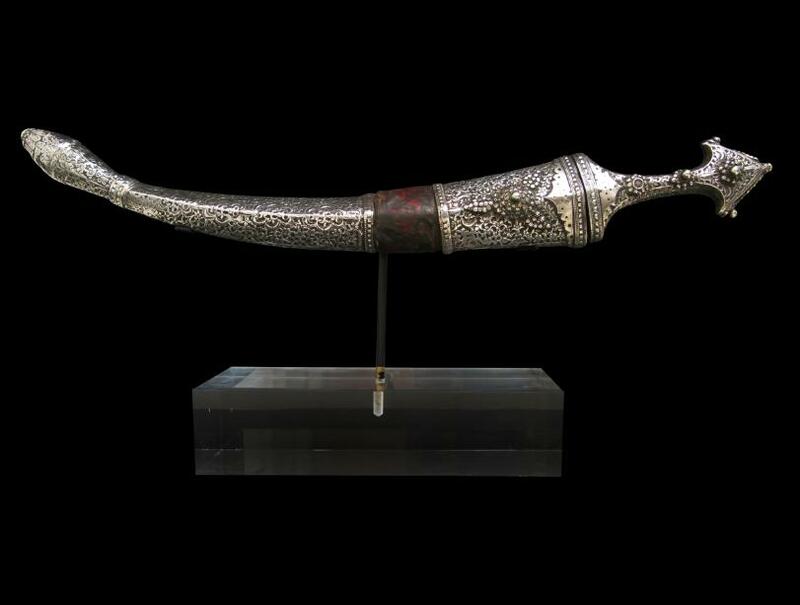 This khanjar or jambiya comes from the Wahhabite people of the Hijaz and Asir regions in the western part of the Arabian peninsula. It is well worn with an excellent patina. It comprises a double-edged steel blade with an engrave geometric motif to both sides, a wooden scabbard encased in worked silver sheet with a leather midrif section, and a silver hilt with a flat, triangular pommel. The scabbard has an elongated, nodular chape. 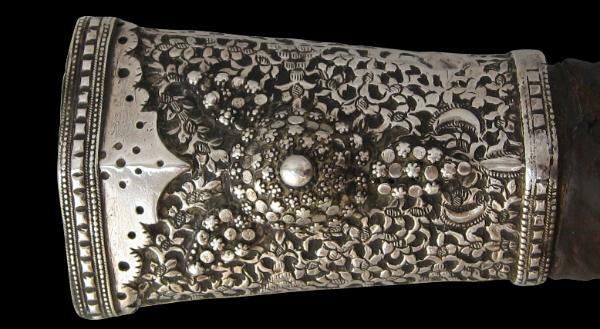 The front of the scabbard is densely worked with scrolling foliage and flower patterns with an applied granular star-burst motif near to the hilt. The reverse of the scabbard is largely plain other than for some engraved motifs and borders, as well as three applied belt hooks. The hilt is similarly embellished with granular applique work. 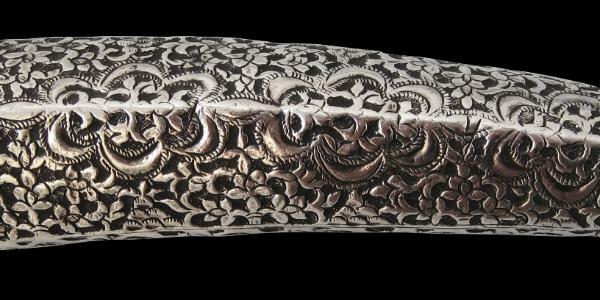 The reverse of the hilt is decorated with a pleasing fish scale motif. The item is in good order with no repairs or additions. Its age is clearly evident with the contours of the scabbard and hilt softened by many years of use. Note This khanjar comes with its own custom-made stand.